We are Susan and Judith Boyle. Two sisters from Kildare Town the home of St. Brigid, the Irish patron saint of beer. Brigid is an inspirational woman who lived during the 5th century. Brigid was renowned for her beer making skills and she was also a famed bee keeper. Committed to education for all, she founded the first monastery in Europe for men and women in the arbour of an oak tree. This act gave Kildare its name. Kildare or Cill Dara in Irish means the church (cill) of the oak (dara). Our love of beer runs deep in our veins; our family are are 5th generation publicans. 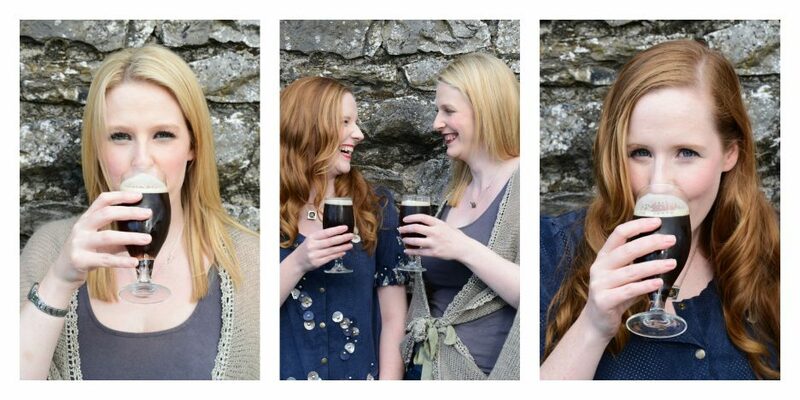 Together we write a weekly beer column for the Leinster Leader alongside this Judith is a beer sommelier and a qualified chemist and Susan is a writer, artist and performer. Having written, talked about and tasted our fair share of beer we thought it was about time we rolled up ourselves and made some beer ourselves. The seed for Brigid’s Ale was planted at an event we hosted for the Brigidine Sisters. Now, exactly a year later, we have brewed out first commercial batch of Brigid’s Autumn ale. Brigid’s Ale is currently available on draught and in 750ml bottled conditioned bottles from our pub and off licence Boyle’s, Market Square Kildare. We hope to have our brilliant beer and available in other locations soon.